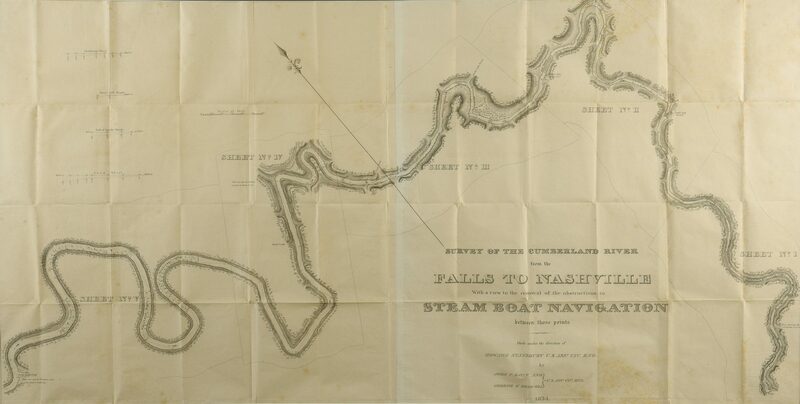 "Survey of the Cumberland River from the Falls To Nashville with a View to the Removal of the Obstructions to Steam Boat Navigation Between Those Points", made under the direction of Howard Stansbury, U.S. Asst. Civ. Eng. by John P Baily and George O'Driscoll, U.S. Asst. Civ. 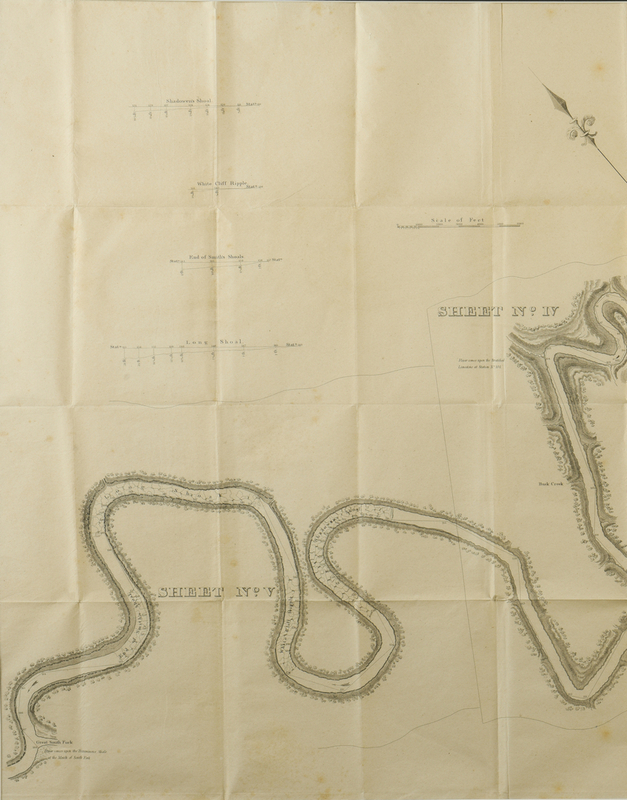 Eng., printed by the Government Printing Office, Washington, D.C., 1834. 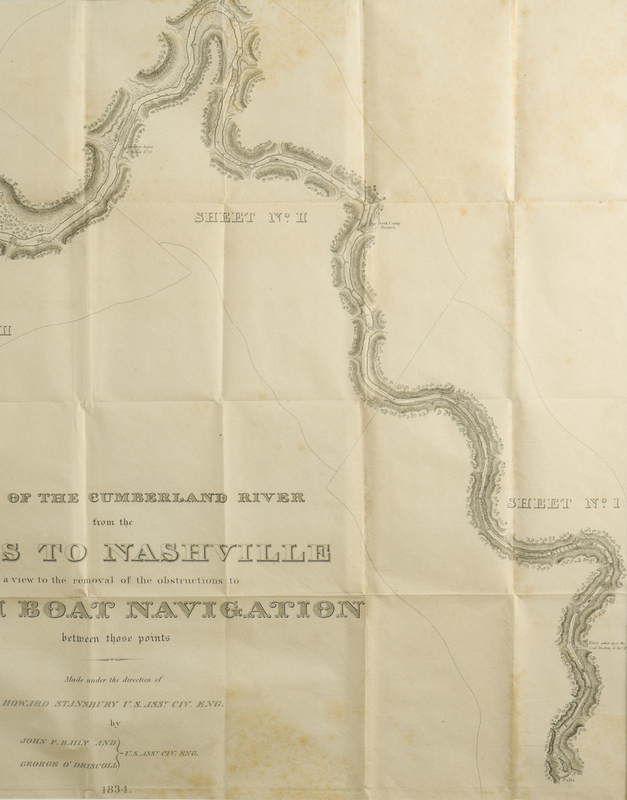 Map of the Cumberland River from below Barboursville, Kentucky to the Great South Fork, near Nashville depicting the bends of the river bank, trees, and other points of interest. 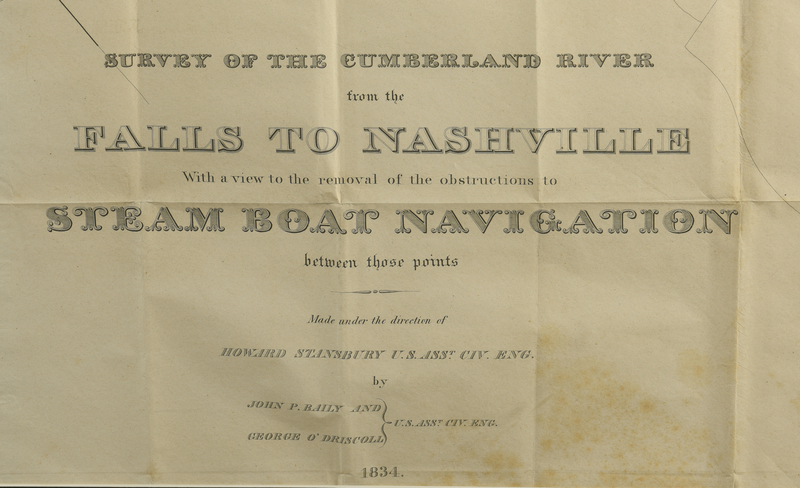 Title, lower right, Scale of Miles and other notations, top left. Housed in a contemporary metal frame. 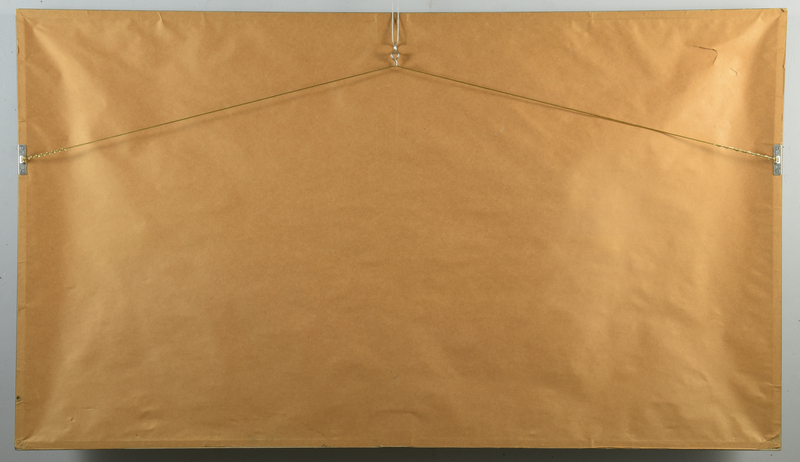 Sight – 22" H x 43 5/8" W. Framed – 29 1/4" H x 50 3/4" W. Early 19th century. 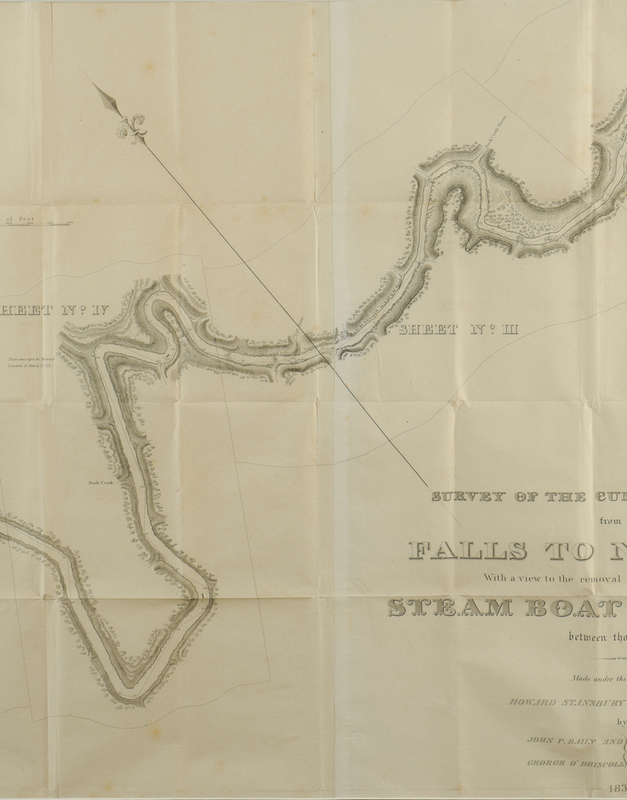 CONDITION: Creasing and light toning; scattered foxing to surface of map. Not examined out of frame.